Hand Crafted Raw American made steel shelves. 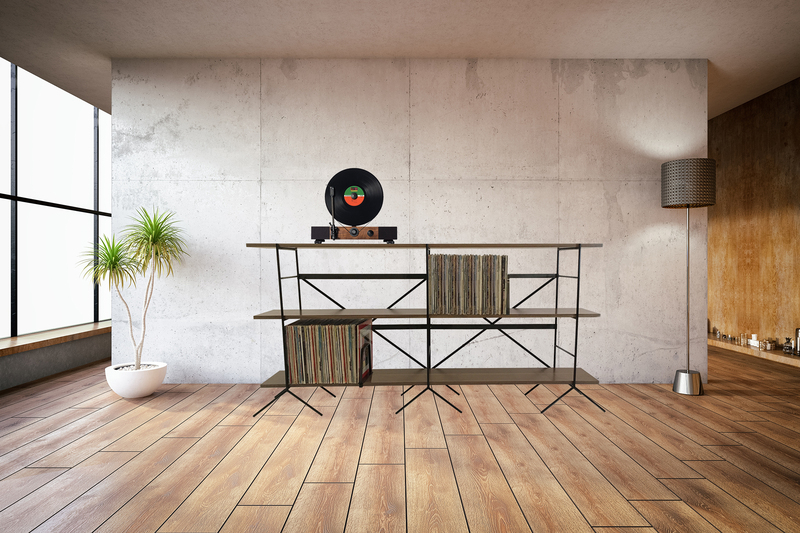 The mid century modern modular style shelving unit holds approx. 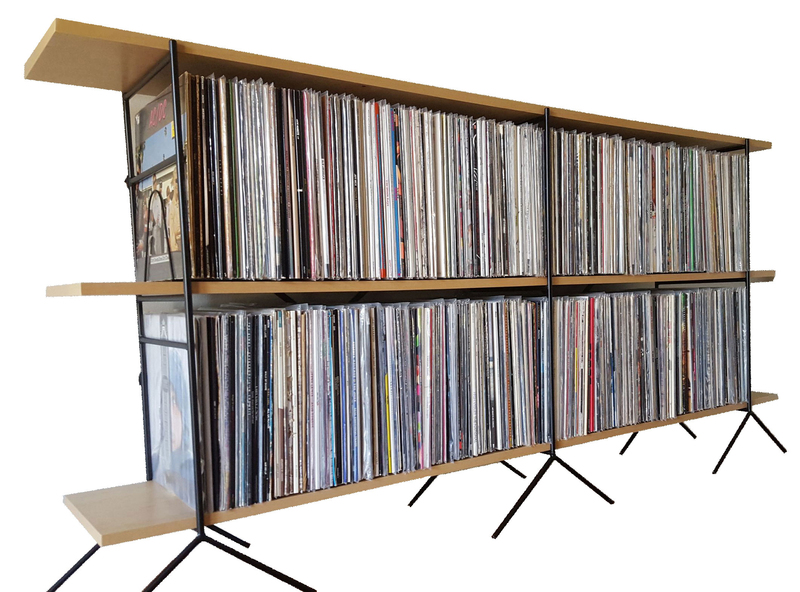 660 vinyl albums. Made from 1/2″ cold rolled American steel rod in black or white. 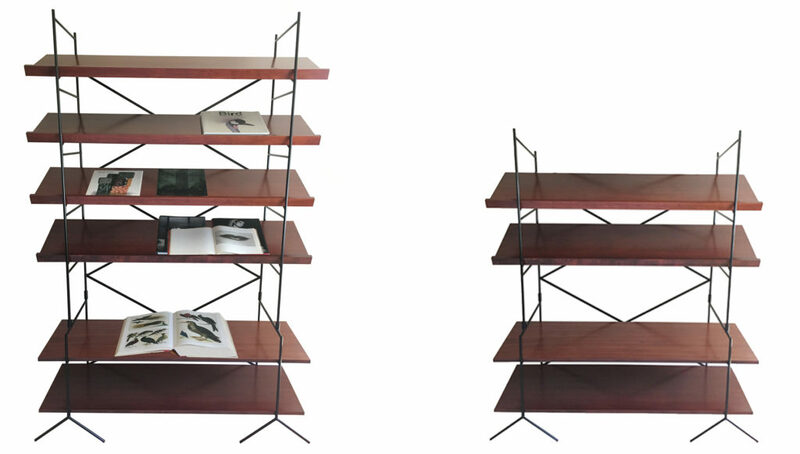 Shelves are 72″ long, by 12″ deep and stands 36″ tall. Raw American steel. Perfect welds. Beautiful wood. These are things we care about when making the shelves that hold what defines your spirit through the music you collected.